The storied Gold Coast glistens year-round, but the parks, coves and harbors offering gorgeous views of the Long Island Sound come alive during the summer. Take the scenic route and drive through winding, tree-lined roads rife with historic mansions that conjure Gatsby vibes, and taste some of our region’s most lauded cuisine at a restaurant or three. The popular restaurant overlooking Huntington Harbor turns 10 this year. Raise a glass of vino from the carefully curated menu while eating Mizu sushi, steak or chops in one of Prime’s many dining spaces including private vine rooms and an outdoor porch. When the sun begins to set on a Monday night, head to the Cabana Bar for outdoor movie nights. Go. Michael Psilakis’ menu at MP Taverna is inspired by the authentic Greek cuisine his mother used to cook for him while he was growing up in East Northport. You’ll only need one bite of the tender, slightly-sweet octopus served atop Mediterranean chickpea salad to understand why making a reservation is more than a recommendation. Go. A Main Street staple for two decades and counting, Pasta Pasta’s wooden accents, candle-lit tables and large windows flanked by elegantly draped curtains turn date night down port into a Tuscan Villa trip. Go. Throw that summer diet out the window. The burgers at Vauxhall are such a hit, the gastropub is one of 10 finalists for Pulse’s Great Burger Battle. There are plenty of options, from traditional to vegan offerings like black bean sweet potato. Nothing pairs better with a patty than a beer, and it’s flowing at Vauxhall with 14 on tap and 15 available by the can. Go. 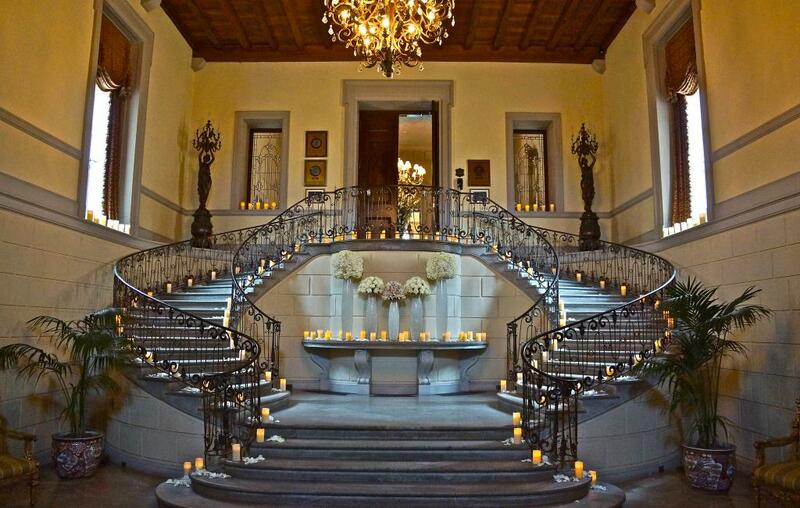 The 216-acre grounds of Sands Point Preserve Conservancy take guests back to the days of Gatsby. 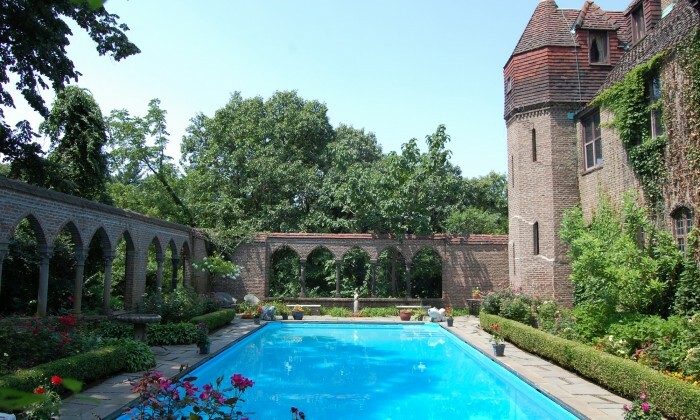 Behind the great iron gates sits the Hempstead House, the home that inspired F. Scott Fitzgerald’s classic, and Harry Guggenheim’s 13th century Norman Manor-style home. Lesser known but just as magical, Falaise is one of the only homes that remains intact from the 1920s and was a filming location for The Godfather. Go. The shingle-style Queen Anne home served as a summer oasis for Theodore Roosevelt, who is credited for starting the tradition of presidents taking long summer vacations. After years of being closed to the public, it reopened last year after a $10 million rehabilitation and restoration. Explore the quaint but extraordinary three-story home, which boasts 15 bedrooms, sitting rooms, an outdoor porch and books once leafed through by Roosevelt and his family, on a guided tour. Go. A boardwalk and scenic trails that overlook the sound make Sunken Meadow State Park the perfect spot for a leisurely stroll. Runners and mountain bikers with the crazy gene can attempt Cardiac Hill, which saner folks only approach on the downhill. Go. The two-level concert hall with a nightclub vibe will bring The Bangles (Aug 19) and Ted Nugent (Aug 23) to the North Shore this summer. Go. 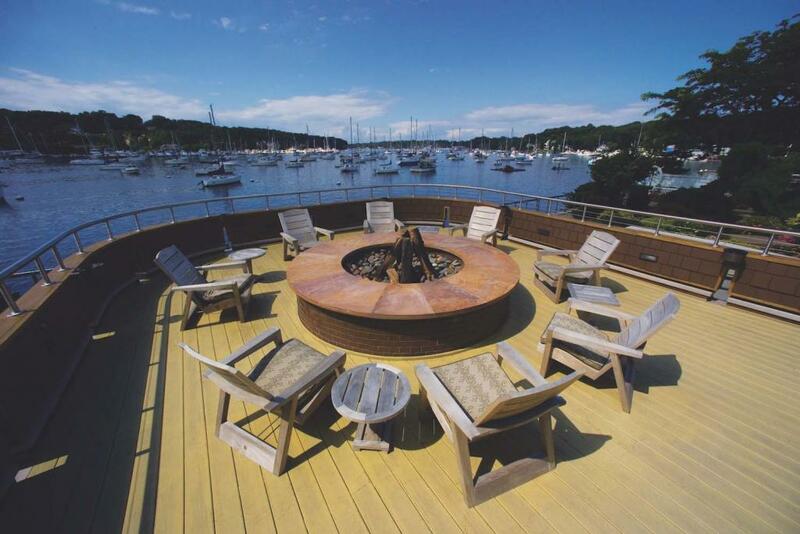 Home to Wave’s outdoor bar, Danford’s, the ferry to Bridgeport and kayak and paddleboard rentals, Harborfront Park is the crown jewel of downtown Port Jefferson. Catch outdoor movies like Mission: Impossible-Rogue Nation (Aug 9) on Tuesday nights and romantic sunsets on the lawn most nights. Go. Forget the trip to Europe. 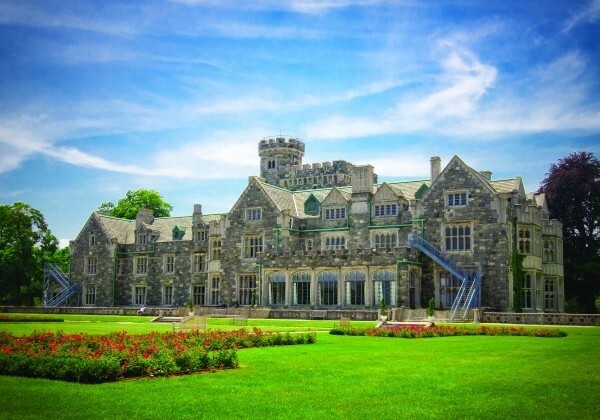 Escape to a castle without shelling out for airfare at this century-old Gold Coast mansion. Luxurious amenities include in-room massages and golf and tennis courses on the grounds. Go. The charming colonial built in 1751 is a three-minute walk from the village center. Master suites offer views of the harbor, and Restaurant Mirabelle offers French cuisine and live music that will have you coming back long after your staycation is over. Go. All-white linens and furnishings give The Roslyn Hotel a fresh, sophisticated feel, and the chartreuse and violet accents add a touch of cheer. The Library Lounge, which seats up to 50 people and is adorned with colorful art, makes for an intimate date-night choice. Go. Get ambitious. Find more items for your summer bucket list by picking up the July/August issue of Pulse.